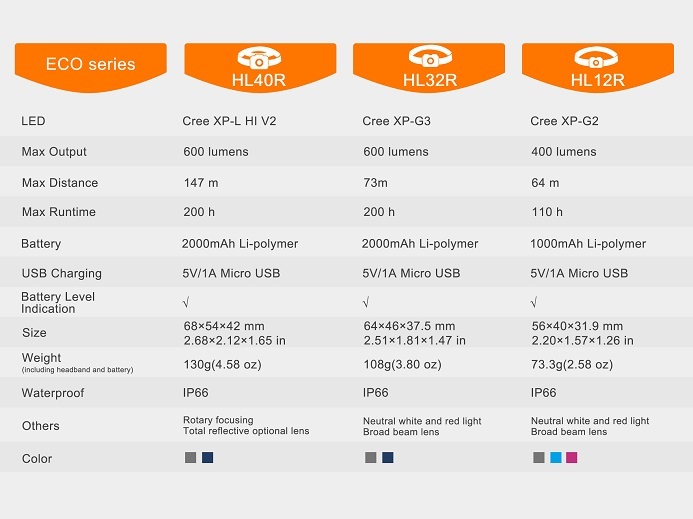 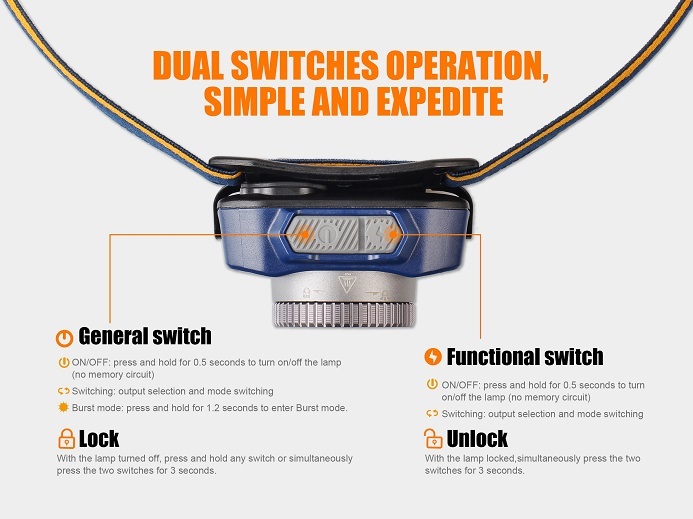 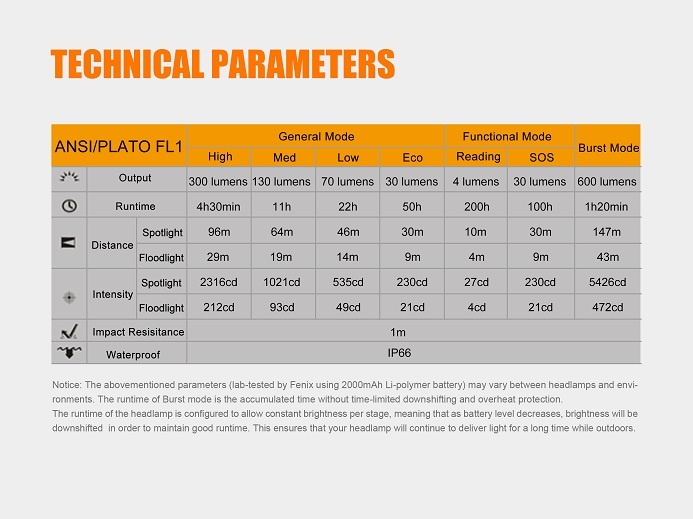 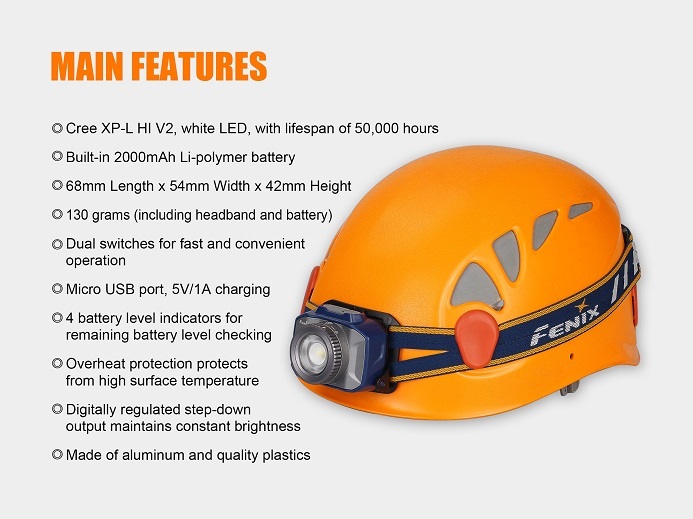 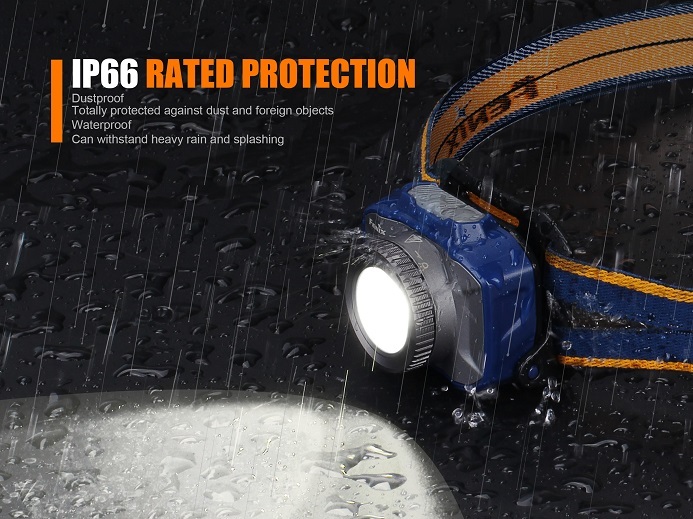 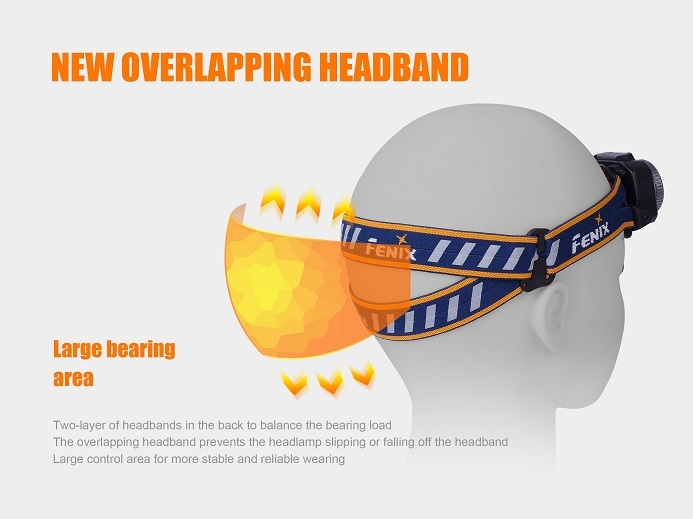 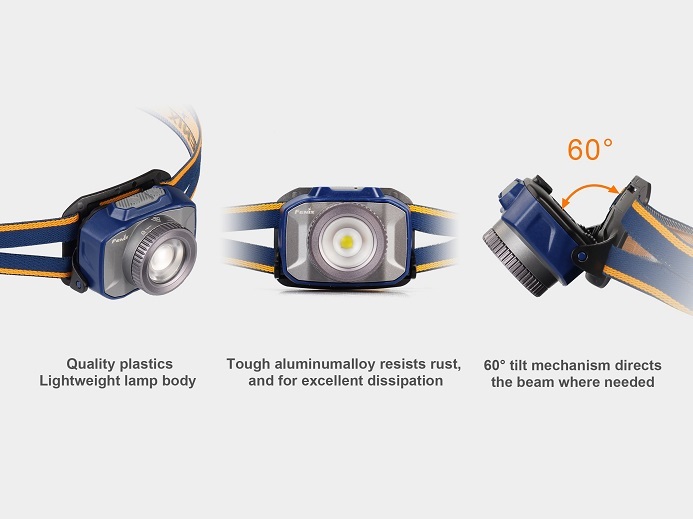 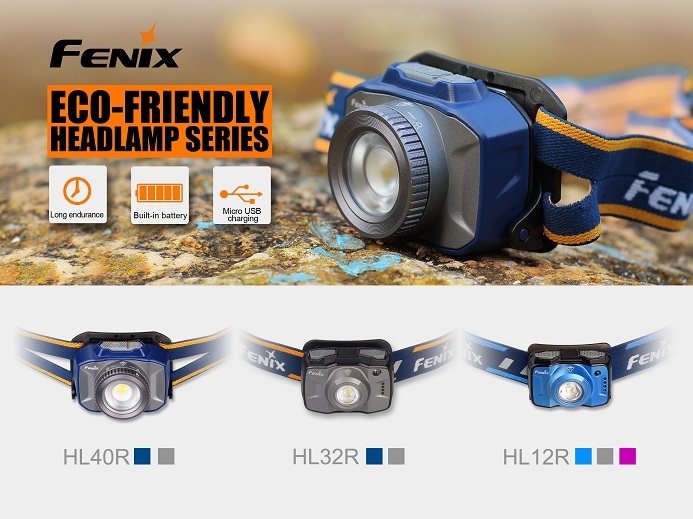 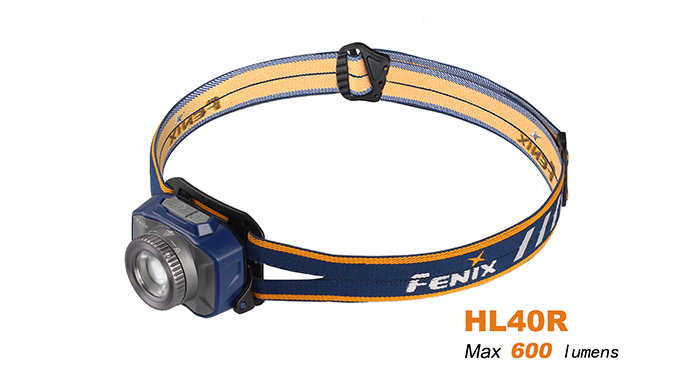 The Fenix HL40R is an all-round rechargeable focusing headlamp which emits a max output of 600 lumens. 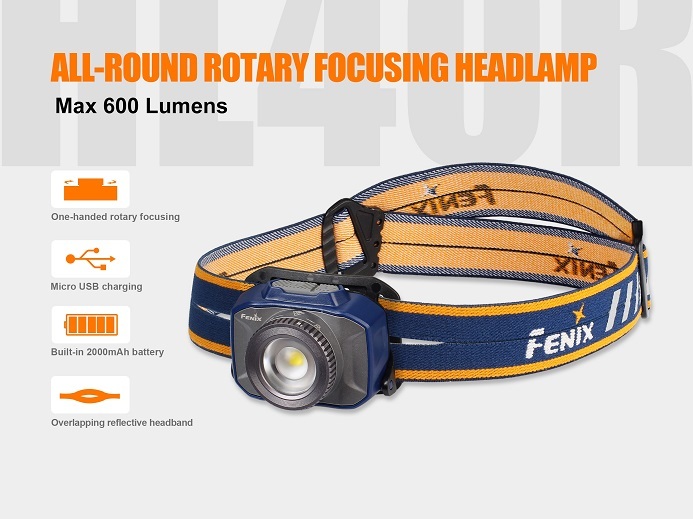 With the design of rotary focusing between spot- and floodlight, it perfectly satisfies up-close and far-reaching lighting demands. 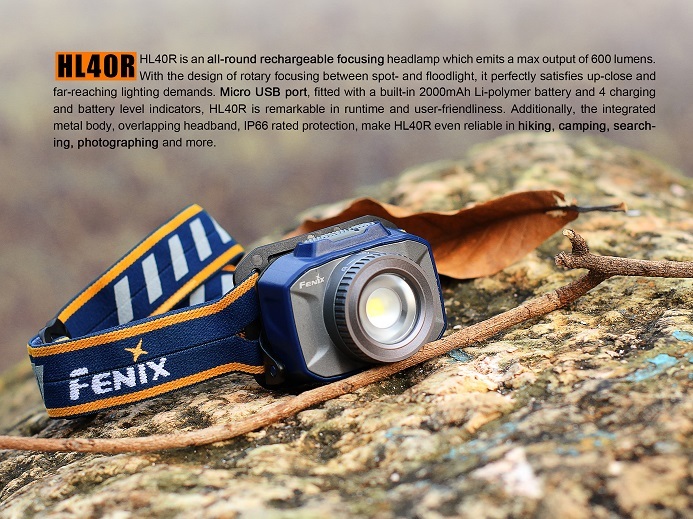 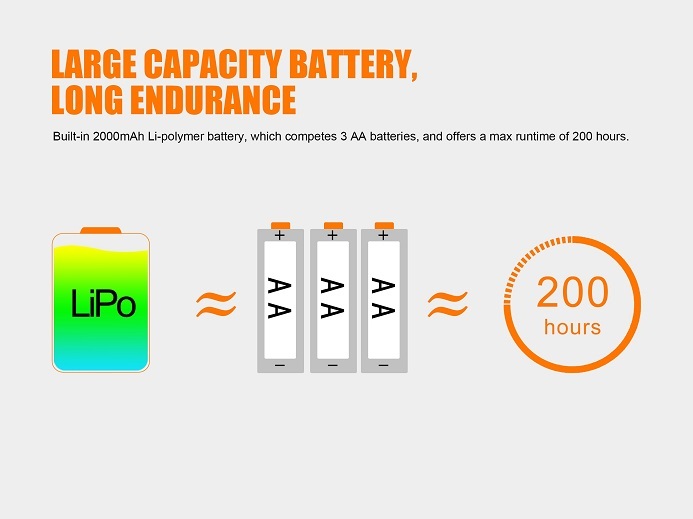 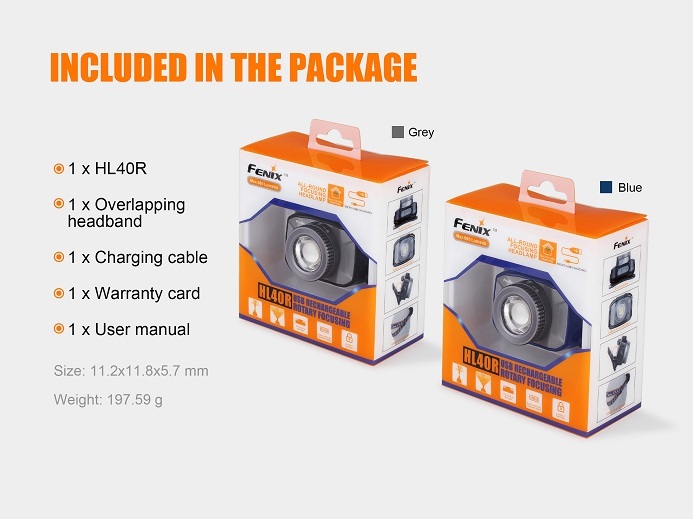 Micro USB port, fitted with a built-in 2000mAh Li-polymer battery and 4 charging and discharging indicators, make the Fenix HL40R remarkable in runtime and user-friendliness.